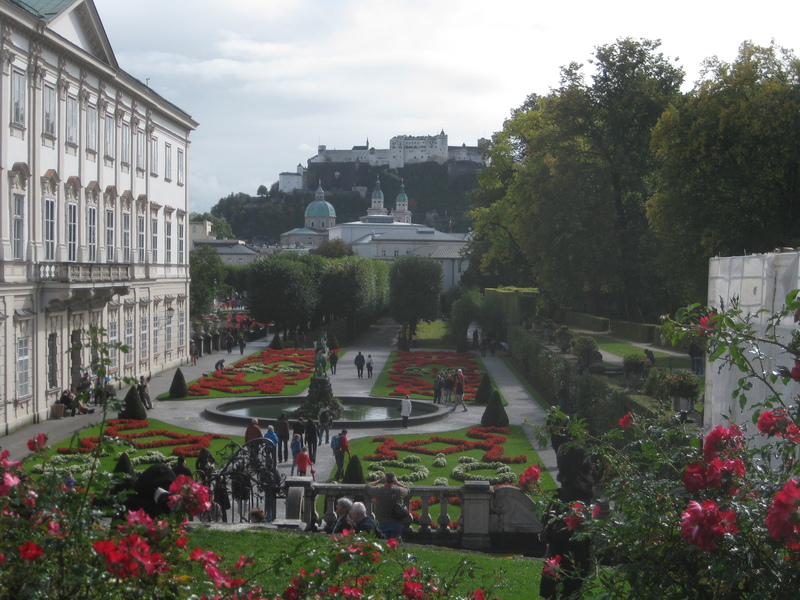 We were drawn to visit Salzburg primarily because of our interest in Mozart and all things classical. One fall weekend while living in Germany we drove across the border for a quick rendezvous with the UNESCO World Heritage site. We booked a hotel in the center of the old town that provided a crib for our infant (one less item to pack in the car) and was within walking distance of all things important. We saw Mozart’s house, the perfectly manicured Mirabell Gardens, the exclusive Getreidegasse shopping alley, and even stumbled upon a street festival complete with a marching band in medieval dress. One of the highlights of the trip, I am not embarrassed to say, was the Original Sound of Music Tour. The tour combines a bus ride to various locations where the film was shot, the soundtrack as roadtrip tunes, and honest tour guides who debunk the myths about the Von Trapp family that the movie espoused. Hollywood took some flaming liberties with the film, as Rick Steves is quick to point out. Movie-fame aside, the tour is fantastic, passing all the must-see hotspots in Salzburg for a quick overview of the entire city. Which leads me to Vermont, USA. The following summer we found ourselves driving the backroads of Vermont on a weekend adventure. Refreshed after cooling off in a local swimming hole, we continued our afternoon exploring and, within minutes, spied the sign for the Von Trapp Greenhouse. After fleeing Austria, the family set up shop in Vermont. We had completely forgotten that fact when planning our Vermont trip. Romantically recalling our Salzburg trip in a bygone era when we lived in Europe, we turned aside and followed road signs to the gardens. And they were worth the detour. The wife of one of Georg’s grandsons greeted us as we awkwardly gushed about our Salzburg trip, like silly Von Trapp stalker tourists. She was very gracious and even posed for a photo with our daughter, who was mildly cooperative. She encouraged us to walk the inviting grounds. In rustic, backcountry Vermont, at the height of a summer afternoon, nothing compares to breathing rich air, surrounded by supreme lush greenness and the beauty of a country flower garden. Not even Salzburg’s Mirabell Gardens. How cool!! Although listening the the S. of M. soundtrack while touring would have me distracted and singing along the whole time, struggling to listen to the tour guide. The tour guide talks and introduces a song in relation to where we are in the tour. Then a song is played and everyone on the bus who is uninhibited and doesn’t care what other people think sings along. We did, of course!